The days are shorter, the mornings cooler. Leaves are losing their green luster, revealing yellow, orange, and red pigments only seen this time of year. It’s finally autumn. It’s finally trail race season! Great Pond Mountain Conservation Trust (GPMCT) and Frenchman Bay Conservancy are bringing back the 6th Annual Double Trouble Trail Race Series—now a mini-series within the Downeast Conservation Trail Race Series. The original Double Trouble begins with GPMCT’s Wildlands Race on Sunday, October 28. At GPMCT’s beautiful Wildlands Preserve, this trail race features a two-mile fun run and a 6.3-mile challenge run. Online registration closes one week before the race; in-person registration closes 30 minutes before the race. Online pre-registration for one race is $20 or only $35 for the entire Double Trouble Series. 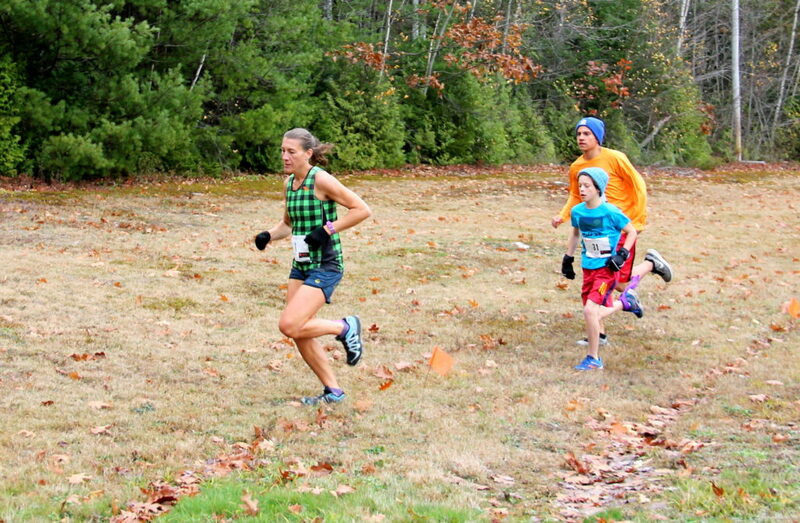 The second race in the Double Trouble: Frenchman Bay Conservancy’s Autumn Trail Race on Sunday, November 4. At FBC’s Baker Hill and Long Ledges Preserves, this trail race begins at Sumner Memorial High School in Sullivan with a 4-mile and 8-mile course. Online pre-registration for one race is $20 or only $35 for the entire Double Trouble Series. For more about FBC’s race including maps and registration information, visit our race page.